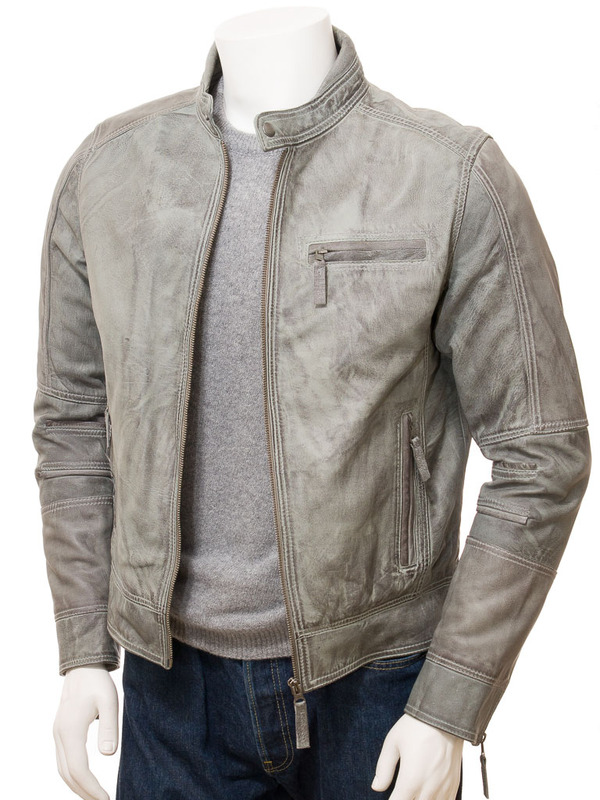 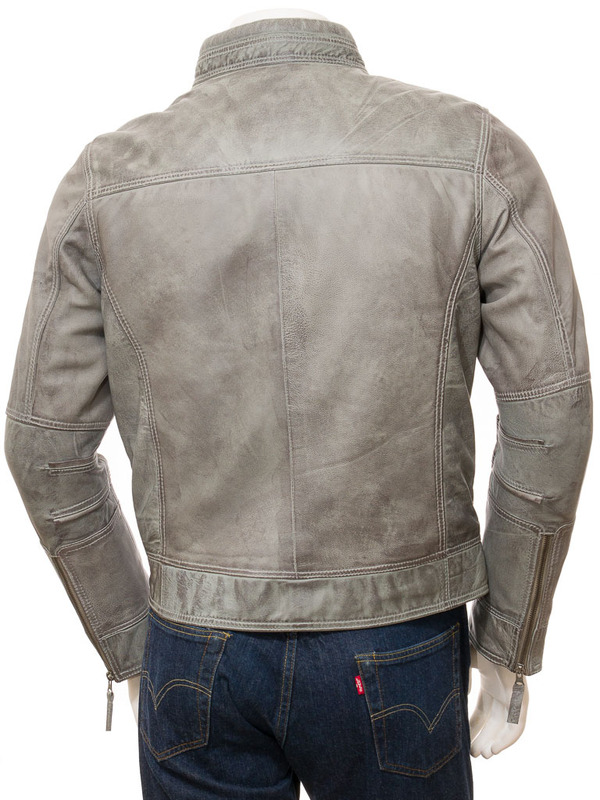 An ultra cool leather biker jacket in an vintage grey colourway. 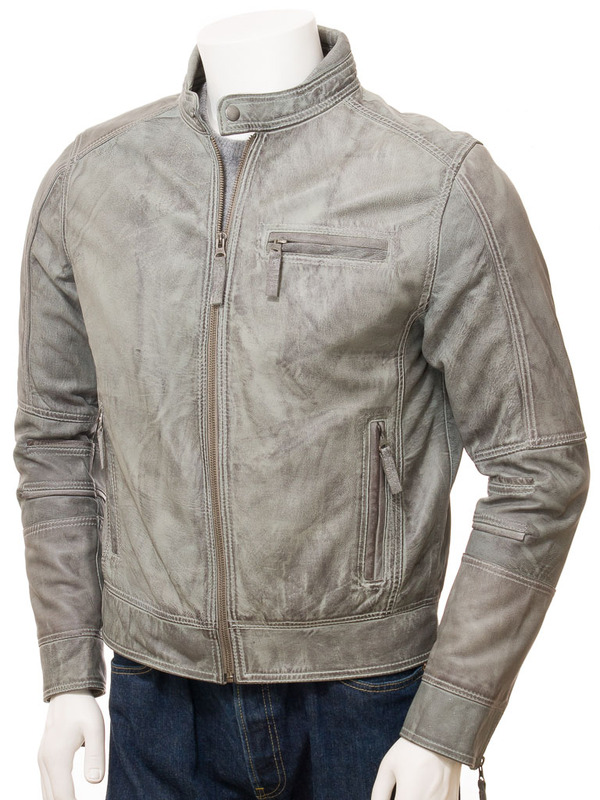 Crafted from sheep nappa leather that has been hand treated to give an antiqued, aged appearance, this jacket features a YKK zip front leading up to a press stud fastened, stand collar. 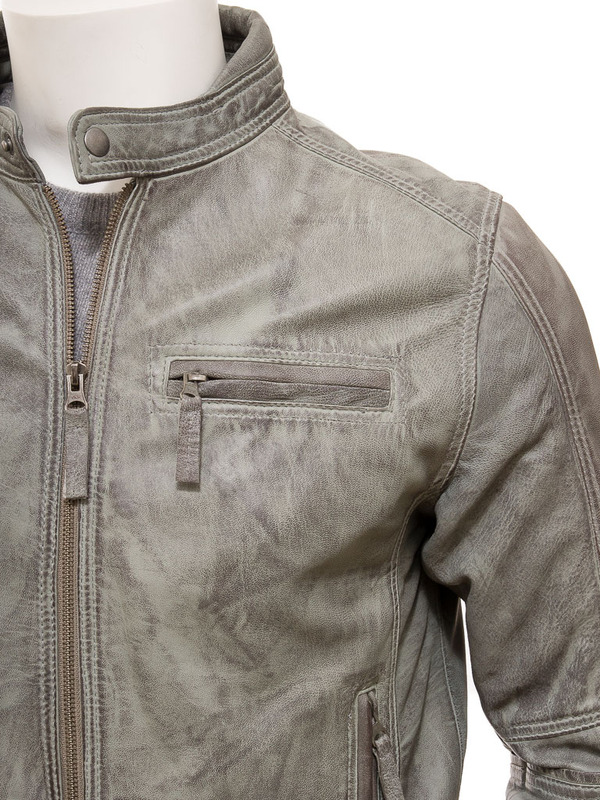 There is a horizontal zipped pocket at the chest plus another two vertical zipped pockets at the waist. 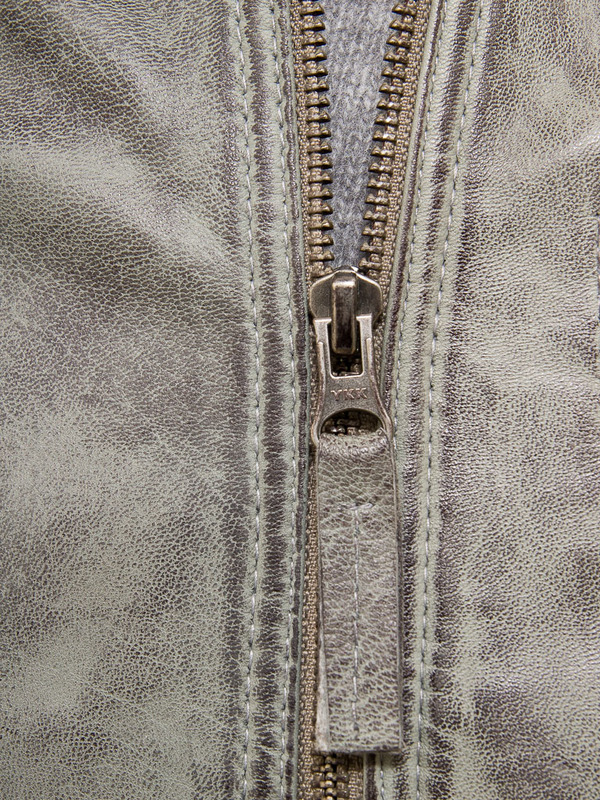 The sleeves feature articulated seam detailing at the elbow plus zip gauntlet cuffs to enable a glove to be inserted inside the cuff.